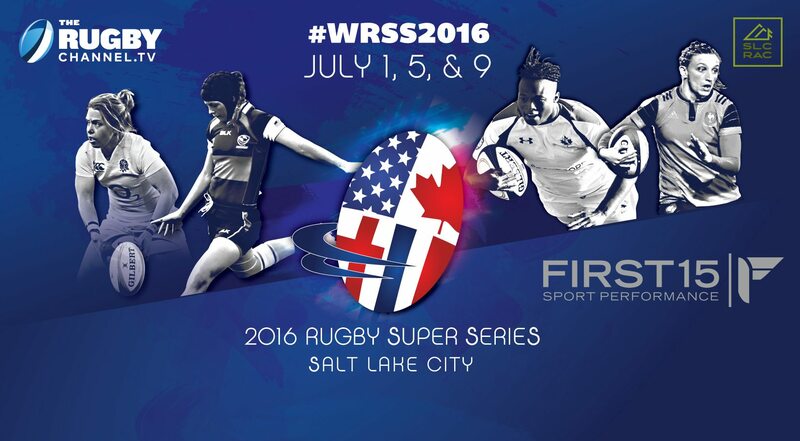 The USA Rugby Women’s Super Series kicks off July 1 and runs through the 9th. This annual tournament (except for WRWC years) will take place at the Regional Athletic Complex in Salt Lake City, UT. The tournament features four nations ranked in the top six of the World Rugby rankings, USA, Canada, England and France. The USA returns to the Super Series fresh from their National All Star Camps while England and France have most recently competed in the Six Nations Tournament. Canada also just concluded their East Camp where selections were made for this event. The USA Women’s Collegiate All Americans and Women’s Junior All Americans are also in SLC and will have two intra-squad matches on June 30 and July 2. Then on July 5 and 9, the WCAA’s and WJAA’s will make final selections and then face off against Canadian Maple Leafs. All Senior matches will be broadcast The Rugby Channel (subscription required) as well as the WCAA & WJAA July 5 and 9 matches! Fans can attend both Super Series matches each day for as little as $5 and up to $20, with tickets available online and at dorr of the Regional Athletic Complex. We’ll be using #WRSS2016, join the conversation! We will be updating our Twitter and Facebook with full results and updates.